I don't really send Thanksgiving cards, but it's a nice idea. I do send or give thank you cards, however, and this one could be used for both. It has a background of paper from the Petals & Paisleys Specialty Designer Series Paper collection and the sentiment is from the Paisleys & Posies stamp set. I used the leaf stamped from the Vintage Leaves stamp set and die cut with the Leaflets Framelits dies and another couple die cut from the same framelit set. The colour palette is taken from the Petals & Paisleys Specialty Designer Series Paper: Delightful Dijon, Cajun Craze, Rich Razzleberry, Soft Suede, Copper and Very Vanilla. These are all rich, warm, fall shades and can be a bit overpowering if you're not careful. The leaves that are just die cut and not stamped have been worked with the bone folder to weaken and separate the fibres so that the layers of the cardstock could be peeled apart. This gives a suede-like texture to the leaves and allows you to scrunch them easily and have the wrinkles remain. I then added some random Versamark Ink and some Copper Stampin' Emboss Powder and heat set it. It set REALLY quickly on this thinner paper, but it definitely gave the appearance of weathered leaves. 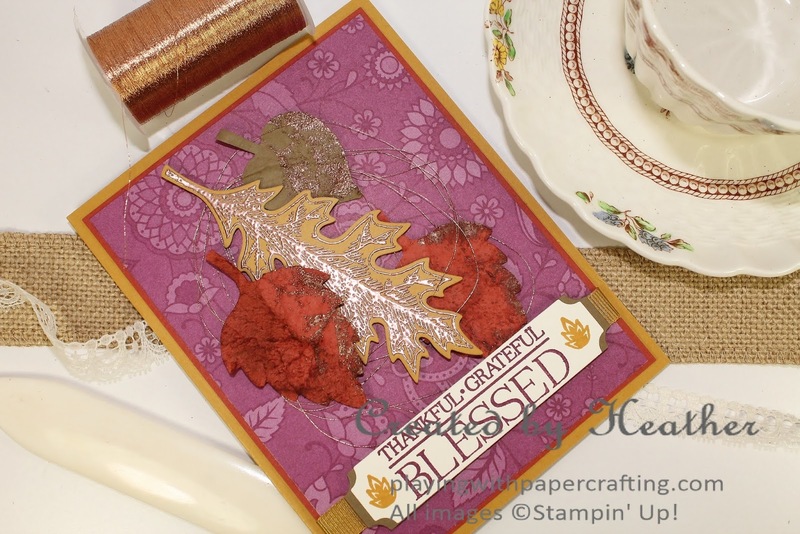 The Delightful Dijon leaf was stamped with an image from Vintage Leaves and embossed with Copper Stampin' Emboss Powder, then die cut with the coordinating image from the Leaflet frameits. The sentiment is from the Paisleys & Posies stamp set and die cut with the framelit from the Project Life Cards & Labels Framelit Dies. I recut it to make it shorter, then die cut a regular length from Soft Suede cardstock for a backing. The ribbon behind it is from the 3/8" Ribbon Trio Pack in the Holiday Catalogue. It coordinates with the Petals & Paisleys Suite of products. 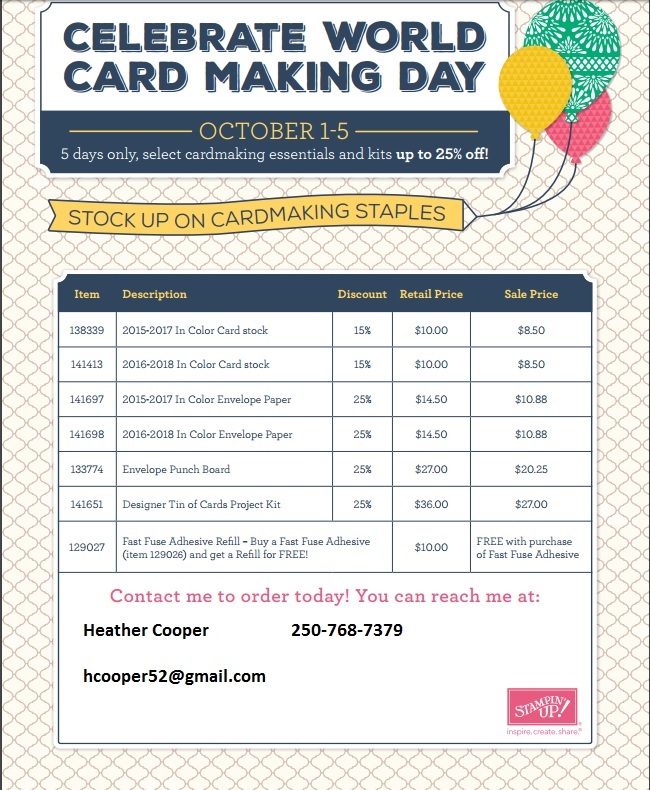 It's the last day to get in on these awesome savings on cardmaking basics! 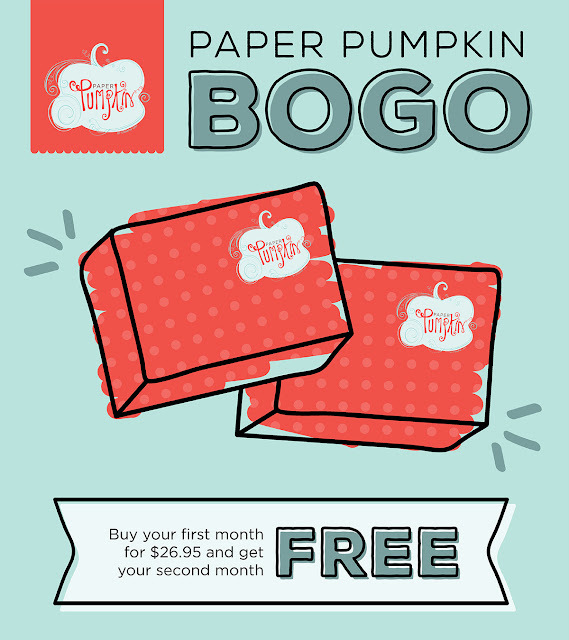 And you're running out of time to get in on this promotion! Only on until October 10th!